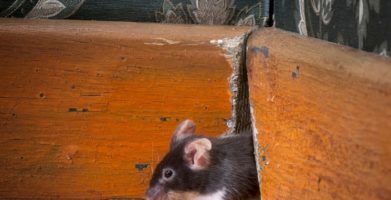 Existing mice will often re-enter a treated area a few times before they learn that the area is no longer tolerable. New mice may enter a treated area momentarily since they can’t smell the repellent until they are in the treated area. Rodents do not have control of their bowels or bladder. Although you may occasionally see droppings, it is unlikely that you will see gnawing or signs of nesting. Rodents are man’s top competitor for food on the planet. Hunger is a bigger driving force for rodents than their personal comfort or safety. They will attempt to take food from baited traps but will not remain in treated areas to nest. 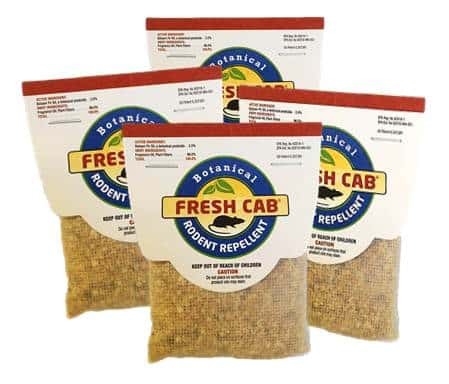 We advise homeowners to do what our pest control professionals do: use Fresh Cab in areas that mice are naturally attracted to for nesting, and storing food (non-living areas like attics, crawl spaces, under the sinks, etc…). Fresh Cab will chase them out to an area where they can be trapped with a baited trap; usually these are runways leading in or out of the property. 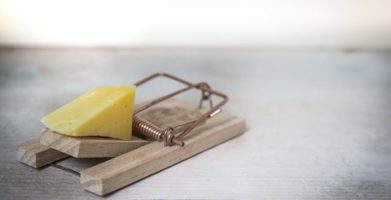 Mice use the same trails each time, but they are naturally built for survival and learn fast, so it takes some experience & skill to catch them in a trap as any professional will tell you. Almost weekly, a customer will call with this complaint because they have not removed the plastic overwrap on a Fresh Cab pouch. The overwrap seals in freshness, but if not removed, that same freshness won’t be able to repel the rodents. This is an easy mistake to make, since many consumers are used to products designed to kill, and most poisons come in little paper pouches that don’t need to be opened because the mice tear into them to eat the poison, disguised as food. Take comfort knowing that wild house mice are the most difficult household pest to control. 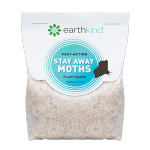 EarthKind exists to serve the rodent challenged population and will help in any way we can. “Like” us on Facebook and ask any rodent related questions you may have. Find tips, solutions, referrals and free product giveaways. Visit our Pest Library for dozens of easy checklists and helpful articles. Call us at 1-800-583-2921 and ask for a rodent relocation specialist to assist you. Please bring your product back ! It’s really effective and made in USA ??! We’re so glad you like it, and we’re doing everything we can to get Fresh Cab back on store shelves ASAP! Why make a different product, when fresh can worked great? Please get it back ASAP! We’re so glad to hear Fresh Cab got the job done for you! Rest assured, we’re doing everything we can to restock Fresh Cab ASAP. Thanks for reading! When the Fresh Cab is back in stock, will there be any changes from the original? We love the balsam fir scent, not peppermint. And it always worked so well! When Fresh Cab is restocked, it will have the same scent. Thanks for your comment! When is your product on the market again. Why was this excellent product removed from the market? We’re glad to hear you think so highly of Fresh Cab. Although the product is not currently available, it is only a temporary issue. We are working to replenish Fresh Cab supplies. 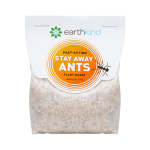 In the meantime, we’ve developed a new blend called Stay Away Mice that will keep mice out of homes. Thank you for commenting! Existing mice will often re-enter a treated area a few times before they learn that the area is no longer tolerable. New mice may enter a treated area momentarily since they can’t smell the repellent until they are in the treated area. Rodents do not have control of their bowels or bladder. Although you may occasionally see droppings, it is unlikely that you will see gnawing or signs of nesting. Rodents are man’s top competitor for food on the planet. Hunger is a bigger driving force for rodents than their personal comfort or safety. They will attempt to take food from baited traps but will not remain in treated areas to nest. 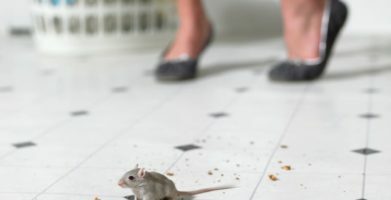 We advise homeowners to do what our pest control professionals do: use Fresh Cab in areas that mice are naturally attracted to for nesting, and storing food (non-living areas like attics, crawl spaces, under the sinks, etc…). Fresh Cab will chase them out to an area where they can be trapped with a baited trap; usually these are runways leading in or out of the property. Mice use the same trails each time, but they are naturally built for survival and learn fast, so it takes some experience & skill to catch them in a trap as any professional will tell you. Almost weekly, a customer will call with this complaint because they have not removed the plastic overwrap on a Fresh Cab pouch. The overwrap seals in freshness, but if not removed, that same freshness won't be able to repel the rodents. This is an easy mistake to make, since many consumers are used to products designed to kill, and most poisons come in little paper pouches that don't need to be opened because the mice tear into them to eat the poison, disguised as food. Take comfort knowing that wild house mice are the most difficult household pest to control. 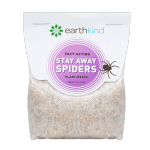 EarthKind exists to serve the rodent challenged population and will help in any way we can. “Like” us on Facebook and ask any rodent related questions you may have. Find tips, solutions, referrals and free product giveaways. Visit our Pest Library for dozens of easy checklists and helpful articles. string(52) "Top 3 FRESH CAB Rodent Repellent Customer Complaints"